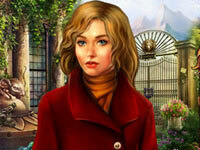 Description: Book Of Shadows is a hidden object game. Hi there, my name is Rebecca and my passion in life is collecting stories about ghosts, haunted houses and other strange occurrences. Ever since I was a young girl, I was fascinated by stories about some local ghost and other strange creatures. I still feel the same passion about the supernatural as I used to 20 years ago.. Book of Shadows is a Hidden Object Games.